Back in February, Smashing Magazine announced they would be producing a book for release later in the year and asked readers for input on what they’d like to see in terms of content, layout and design. Fast forward to the 5th of August and Smashing Magazine finally released details of the books contents, pricing and release date (which would change a couple of times due to a number of reasons). A final newsletter was sent off on the 10th of October telling people who had pre-ordered the book the shipping date, the 23rd of November. 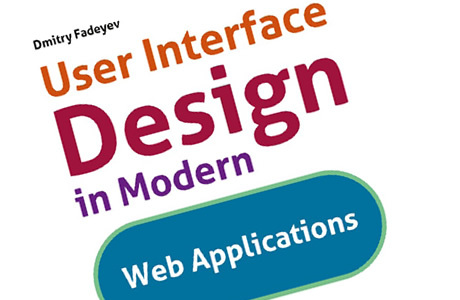 Attached to that email was a PDF preview of the first chapter by Dmitry Fadeyev, User Interface Design in Modern Web Applications. We thought, for those that weren’t aware of the book or hadn’t pre-ordered, it’d be interesting to give a little overview of the first chapter so you can gauge the quality of the content. Firstly, the design of the book is just what you’d expect from a high-quality outfit like Smashing Magazine. Well spaced out typography, minimal but effective use of colour and well thought out use of images are prevalent throughout the chapter and make it very easy on the eye. So, what about the content? Unsurprisingly it’s of a very high standard. 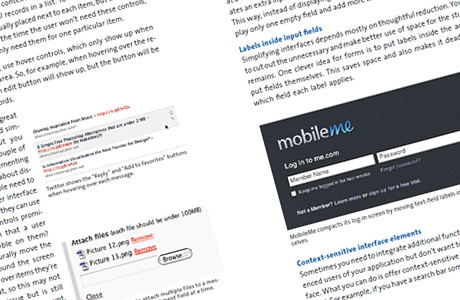 The author breaks down the topic into several sections meaning the user is never far away from a new set of examples, giving the content a great flow which keeps the user reading. One of my favourite sections is the ‘Use verbs as labels’ section, which explains why people using applications expect verbs as opposed to the standard ‘OK’ and ‘Cancel’. It’s not too far away from the shipping date now and there are a few members of Union Room that are eagerly awaiting a small parcel dropping through their doors sometime next month. This small taster has done nothing to dampen the excitement in the office. The book is priced at $23.90 for pre-orderers and $29.90 for those that wait until after the release. 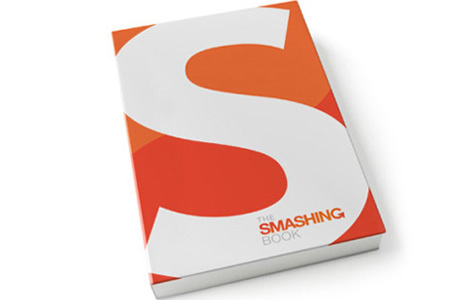 You can pre-order Smashing Book from the Smashing Magazine shop.